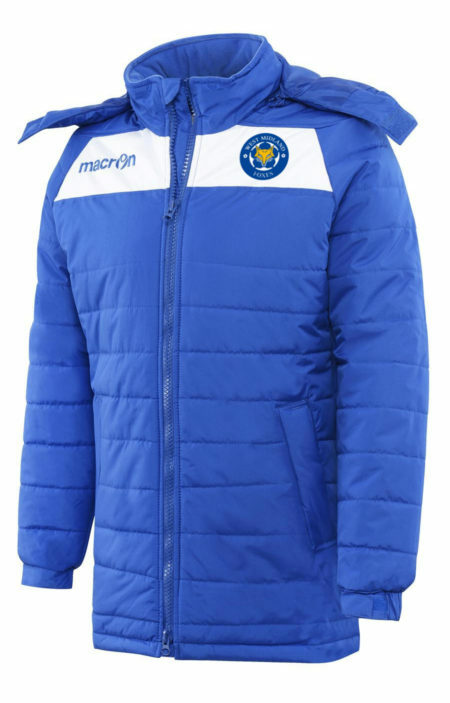 Regular fit CHAMTEX insulated jacket specially designed for West Midland Foxes. Removable hood for head protection in harsh weather. Resin zip with double puller to retain heat and allow easy adjustments. Thread-closed windproof pockets with invisible button for extra hand and wrist protection in harsh weather. Elasticated wrist cuffs to retain heat. CHAMTEX is a versatile shuttle-woven fabric with shower-proof characteristic thanks to the internal waterproofing treatment. Combined with different types of lining, it guarantees warmth in every garment.